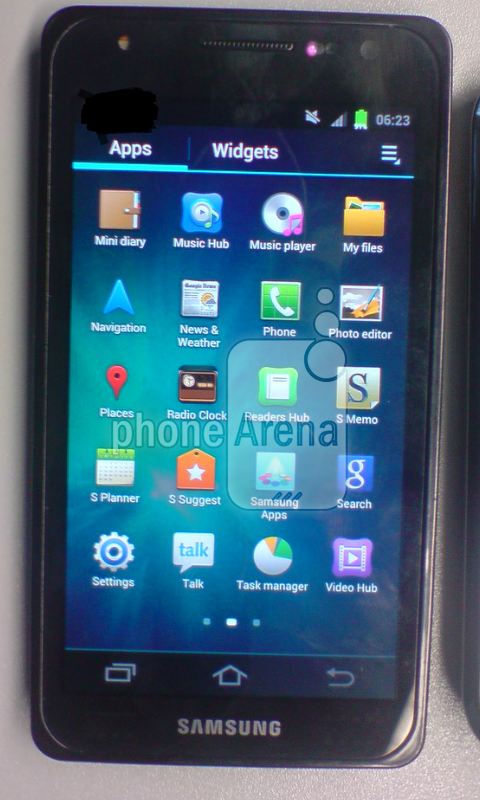 You are here: Home > New Samsung GT-i9300 Image Leaks Out, Is This Finally The Galaxy S III? 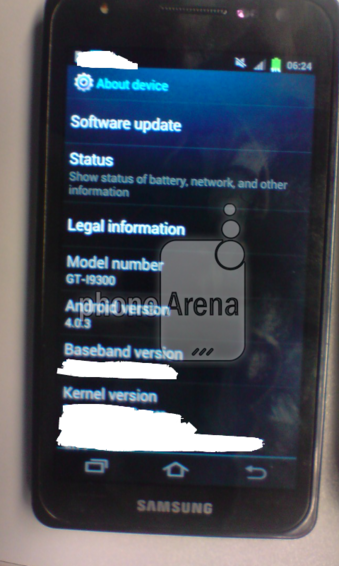 The Samsung Galaxy S III leak train continues yet again this week as the boys from PhoneArena received a photo claiming to be the Samsung GT-i9300. Given that the GT-i9100 is the Samsung Galaxy S II and the GT-i9250 is the Galaxy Nexus, it does make sense that the GT-i9300 could be the Galaxy S III. The image itself does have certain traits that line up with the Galaxy S series along with a buttonless front and on-screen navigational key strip. TouchWiz is definitely in full-effect along with Samsung’s Music and Video Hubs, the S Memo, S Planner and S Suggest apps. A bigger surprise is the Samsung logo being moved underneath the display, which is a noticeable difference between this leaked device and earlier models in the international Galaxy line. Thus far, only US models had the Samsung logo below the screen as carrier branding would go on top. Considering we have seen previously leaked images for the Samsung GT-i9500 and GT-i9800, it’s hard to pinpoint the i9300 as the Galaxy S III. Also of note is the difference between this image and the other Galaxy S III renders we’ve seen pop up over the last few days. Someone just tell Samsung to announce this thing already! There is no way to estimate the size since nothing is there to compare with. Its WAY too small for sure. UGHHH.. Do you guys know if Tmobile will be getting something similar to the Galaxy NOTE?? Nope, if we knew anything about it, we would say so! I promise! Once Tmo gets HSPA+ over PCS/1900 band nationwide, u can get the Note unlocked and use Tmo’s HSPA+. Other than that, I doubt they’ll get the Note 1. No, but they will surely get the galaxy bloat! Packed full with samsung’s cheese wizz crapware, and and plenty of tmobile spyware. Also chucked full of memory hogging useless apps that tmobile & scamscum throws in for free! Naw, I don’t think that’s it……. Holy crap i hope not. It look’s like S**t! It looks really ugly. I know I won’t be getting one though for the simple fact that if they SGSII was $599 off contract, this sure as h*ll is not in my budget. Maybe there’s something wrong with my eyes, but you can see the whole thing, the only thing you can’t see is the back. Maybe you say you can’t really see more than a screen because the phone is basically mostly the screen itself. So, in my personal opinion, it’s ugly. Instead of coming out with more phones, I wish they would come out with better improved data plans, and deploy more cell phone towers and increase coverage for you to use your phone and data. I have been using google music the last week. with all the apps that exist. The cell phone companies that control the data plans and cell phone towers are not the manufacturers of the phones coming out so there wouldn’t be any giving up one for the other. The manufacturers of the cell phones make their money selling those phones while T-Mobile and other carriers make their money selling cell phone service. You can tell this is a prototype/test build. Its not fully complete yet. Just wait for the announcement next month. doesn’t matter really .. Samsung is like HTC .. they never really give you any aesthetic differences to their phones .. so it’ll look like all previous Galaxy phones perhaps with a better processor. that was my first thought, looking over on my desk to my g2x..the gorilla glass and metal bear an uncanny resemblance, even in color. the grills are the same trapezoidal shape, too (albeit in different positions). never thought i’d see samsung take a page out of lg’s design book, hah! So then articles can be written saying “Why did Samsung announce a phone that’s not complete so we have to wait for it to be available.”? Until an actual, credible leak is done who cares? Tucker, compared to the past, this generation is all about “Now” they want the latest and greatest now and worry about the glitches after it’s been released. take a look at the iDevices. every launch they have problems with antennas, software, or overheating. but i agree, until we get a “credible” source and official images, i’m not holding my breath. fake and uglyy as hell!!! I highly doubt this phone is the GSIII. If anything, this looks more like an entry level phone. Suppose to be 4.7″ screen, and still have THAT much bezel and wasted space….I think not, can’t be…if so this will be one HUGE phone…. Also it baffles me how their Tv’s have the thinnest bezels and the screen runs edge to edge seamless, but their phones always have that black dull area along with the bezel….Just wondering…. ha! 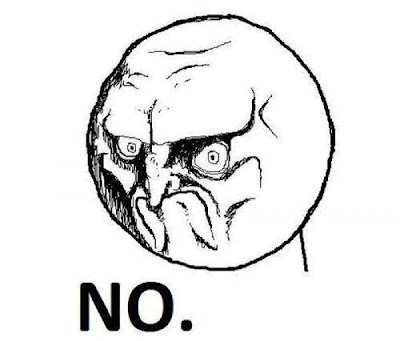 i just saw a TV at Best Buy like that. That would make for excellent phone. Good thinking. It’s a Mid Range device apparently. I’m not buying that this is the GS3… Looks like a mid-tier device. If this image is the real deal… idk if it will be a step back or fwd. The image of the device on the CES video is what i will like to see the GS3 look like or close to it. Looks like the most unsightly POS that ever asaulted my vision. Gosh! I sure hope this is not it. I hope Samsung can for once put out something that looks beautiful. Thats not a real image imo. if you look it has the same body of a g2x, looks super photo shooped. Samsung can make it look however they want. Just have the word “Galaxy” in its name, and people will buy it. looks a lot like the LG G2x … Hm. I wonder if that is a case around it or is it really that bulky looking.